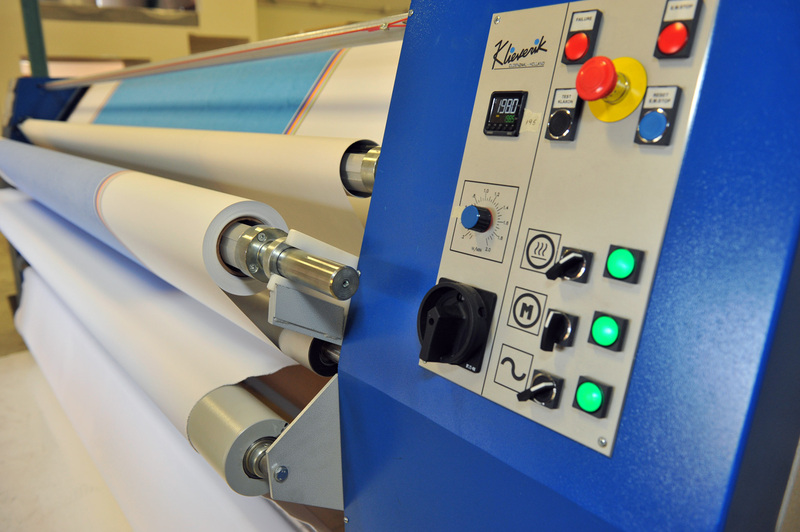 Dye-sub is a unique form of printing that uses a complex method to produce fantastic results. The ‘sub’ in dye-sub is short for ‘sublimation’ – the scientific term for transitioning a solid directly into a gas. 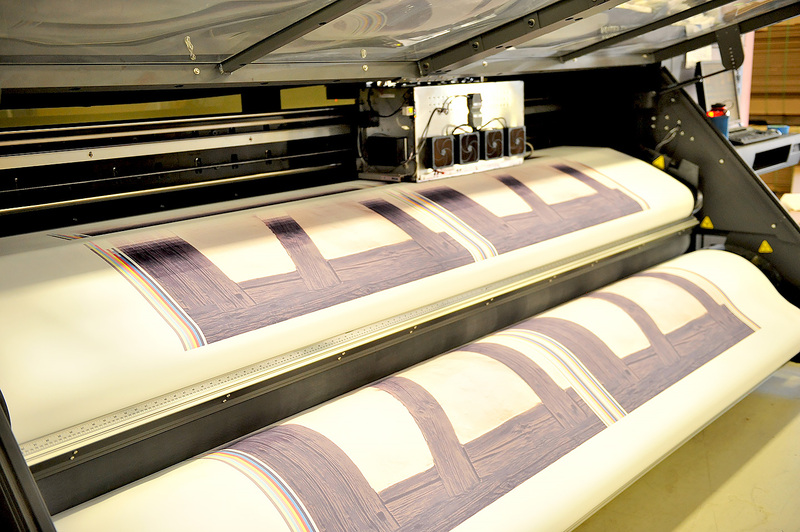 In a dye-sub press like Leatherback’s VUTEk TX3250r, the first step is applying surface ink. 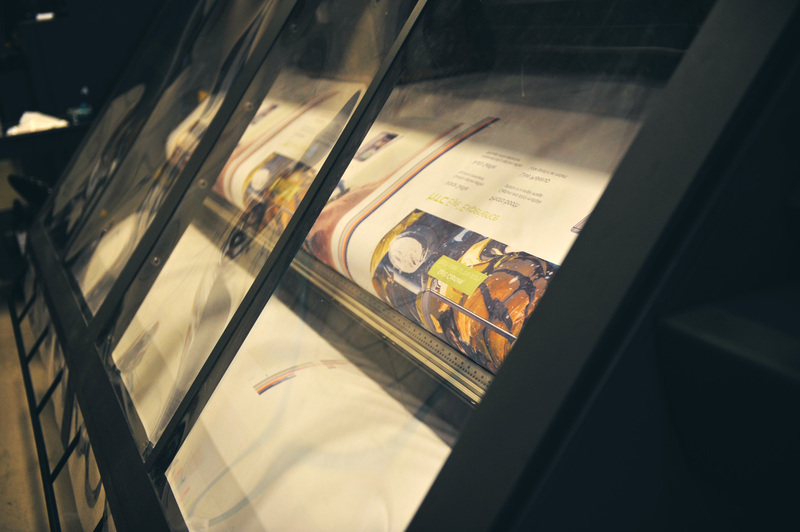 The substrate and ink are then run through our Klieverik transfer machine, where a combination of extreme temperature and pressure causes the ink to undergo sublimation. This transition to a gaseous state allows the ink to permanently bond inside the polymers of the substrate, before quickly resolidifying. The process literally dyes the substrate, creating a more vibrant, longer-lasting look that is washable and weather-resistant. 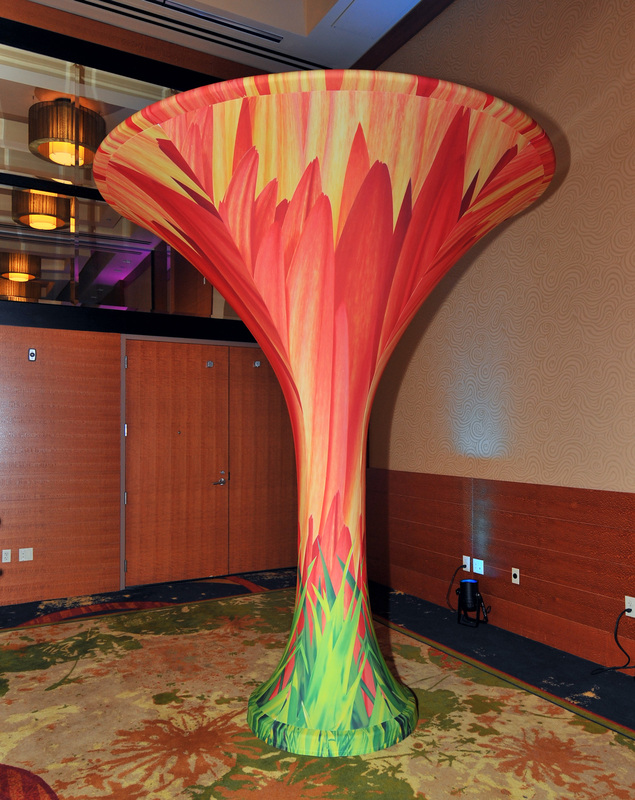 With a vast array of compatible substrates to choose from, the functional applications of dye-sub are virtually endless. 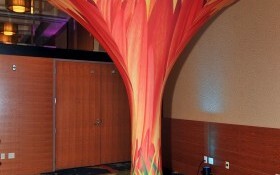 Check out our gallery for some examples of the edgy marketing concepts you could employ. 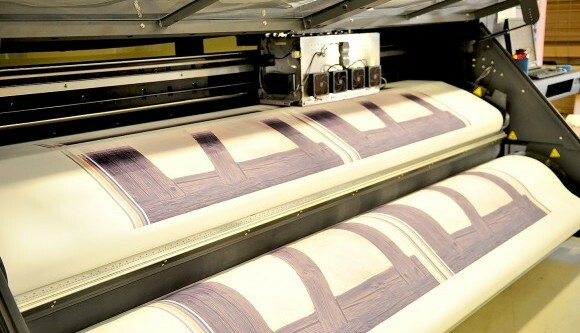 What are the main advantages of dye-sub printing?